The big question that emerged in the study of language was this: how are children able to learn languages so effectively and so quickly? Noam Chomsky called this Plato’s problem: how can we know so much even though our experience is limited. 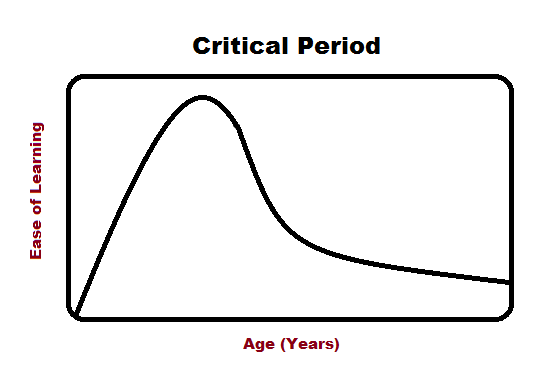 It appears to happen so quickly and easily that it cannot be a straightforward case of learning. Can it? Also, children manage to learn languages more easily than individuals who start to learn languages later on. 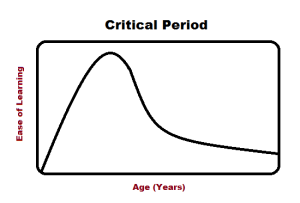 All this seems to indicate that we have some kind of innate language ability that is linked to early development. Chomsky argued that human language is based on innate grammatical rules that are part of a language acquisition device (LAD) or language module (LM) that we are born with. Chomsky and his followers set to work analysing sentences. They wanted to fully explain how the unique human language ability works, not simply describe sentence structure. As they developed their ideas, the way they described sentences changed. Chomsky’s first book, Syntactic Structures (1957), contained his most famous ever sentence. It was offered as an example of a sentence that was perfectly well-formed grammatically and that no one had ever heard before. In Chomsky’s 1957 version of Generative Grammar, the highest category was the Sentence (S). 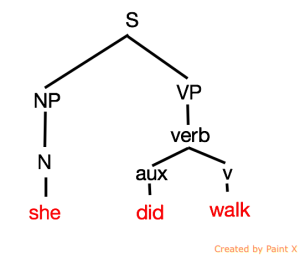 S consisted of two central categories, a noun phrase (NP) and a verb phrase (VP). 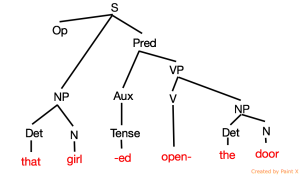 In the 1957 version of Generative Grammar, the Verb Phrase was broken down into the verb itself and tense or aspect-related structure, labelled as aux (auxiliary). 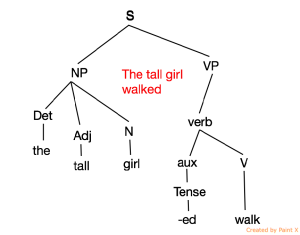 The Noun Phrase has Determiner and Adjective branches. Maybe you’re wondering why the aux/tense element -ed is before the verb. After all, it’s walked, not ed-walk. 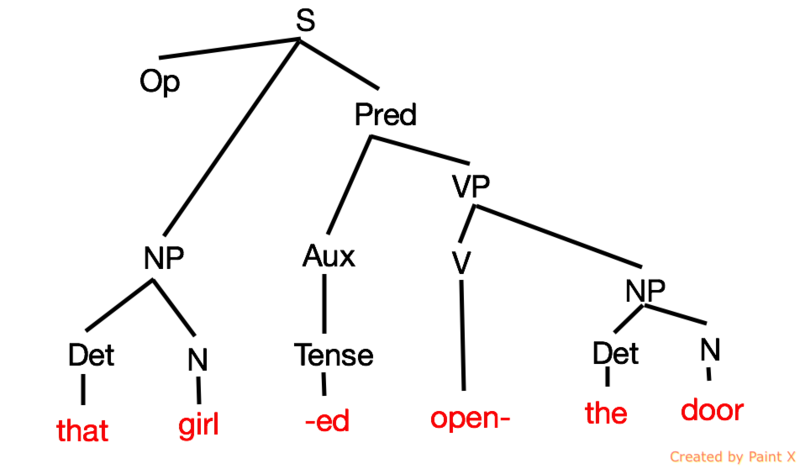 Well, if you consider the evidence from certain sentences where we emphasise the tense, you might imagine that the aux/tense node is really before the verb. Maybe, there is some kind of mysterious invisible movement of the tense element in the sentence above!? 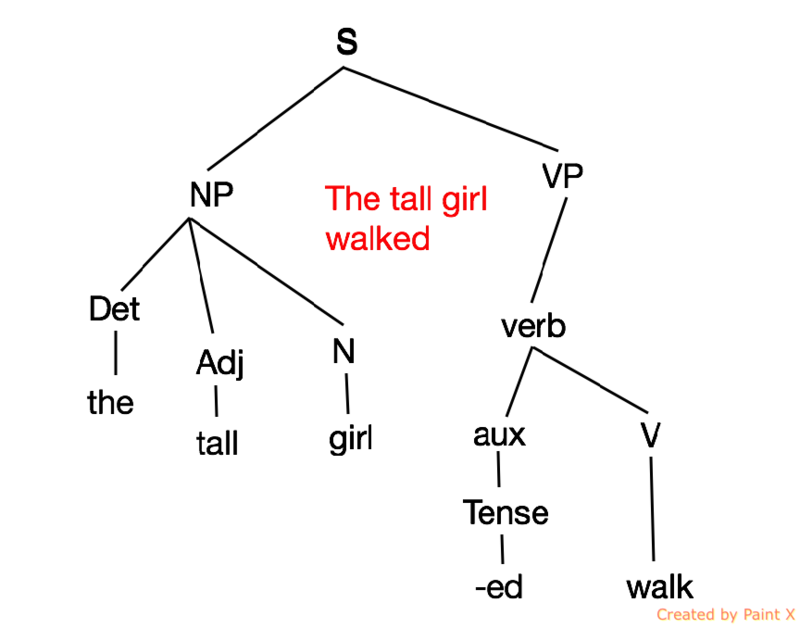 Imagine someone says to you, “I don’t believe she walked.” Then you reply by saying, “She did walk.” Maybe we can imagine that the tense/aux node is actually before the verb. It seems like the auxiliary verb should carries tense and appears before the verb. If you are developing a theory of universal grammar, you want these facts to be universal. You don’t want exceptions. In the next important development, in 1965, the Verb Phrase was given greater complexity as a Predicate Phrase, and an Operator node was added in order to determine what kind of sentence was being described. Of course, we still have the mysterious invisible movement of tense from v to aux. In the 1965 version, an Operator node is added so you can make the sentence into a command or a question or a non-question (declarative) sentence. 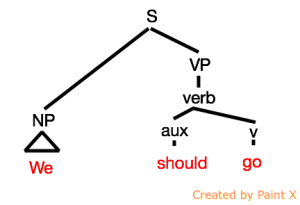 More structure was added to the verb phrase by making it a Predicate Phrase. Chomsky, N. (1965). Aspects of the theory of syntax. Cambridge, Massachusetts: MIT Press.